Gary Larrabee, based on Boston’s North Shore, has been writing all things about golf since 1970. He has enjoyed affiliations with The Salem News (1971-95, 2014-present), Golf World, New England Golf, New England Golf & Leisure, North Shore Golf, MassGolfer and New England PGA Yearbook. 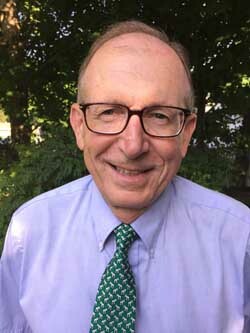 Gary is currently writing the 100-year history of Charles River Country Club, contributing as columnist to the resurrected North Shore Golf magazine, writing a weekly column in season for The Salem News and serving as Media Liaison for the Salem Country Club during its hosting of the 2017 United States Senior Open.